London: Smith, Elder, & Co. Writer Anne Isabella Thackeray Ritchie (1837-1919) assisted her father, novelist William Makepeace Thackeray (1811-1863), by transcribing his manuscripts for publishers, including copying out the majority of The Newcomes. Anne lived most of her adult life with her sister Harriet and Leslie Stephen, Harriet’s husband and literary journalist. Anne and Stephen continued to live together after Harriet’s early death in 1875. 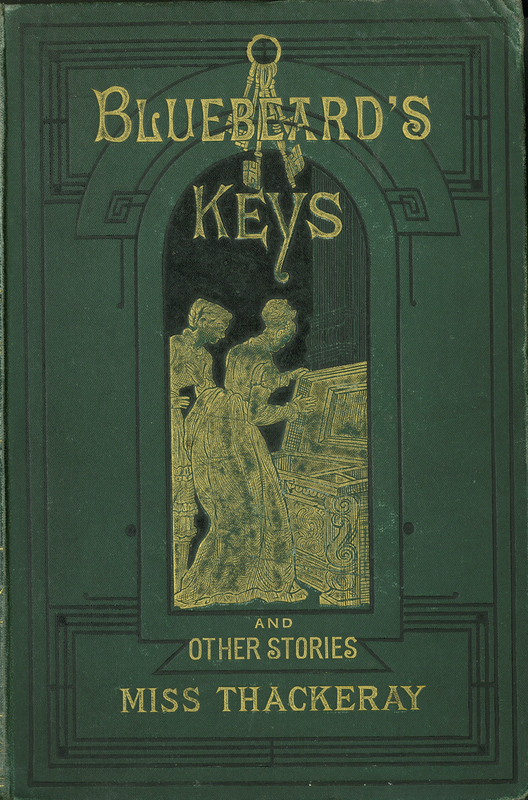 [Anne Thackeray Ritchie], “Bluebeard’s Keys and Other Stories,” ourheritage.ac.nz | OUR Heritage, accessed April 26, 2019, http://ourheritage.ac.nz/items/show/10214.